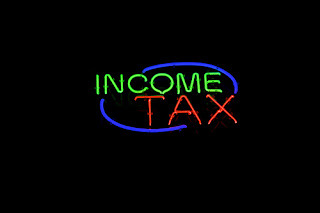 Union Budget 2009 has revised the basic income tax exemption limit and abolished the surcharge for individuals. The threshold for non-taxable income has been increased from Rs 2.25 lakh to Rs 2.40 lakh (a hike of Rs 15,000) for senior citizens, from Rs 1.80 lakh to Rs 1.90 lakh (increase of Rs 10,000) in case of resident women and from Rs 1.50 to Rs 1.60 lakh in case of other individuals. However, there is no change in income tax rates. Further, surcharge of 10% levied on taxable income exceeding Rs 10 lakh is abolished but education cess of 3% is retained. If you’re confused between financial year (FY) / previous year (PY) and assessment year (AY), check out: 3 Other Sources of Tax Confusion. And, if you would like to know the highlights or the detailed tax proposals of budget 2009-10 regarding individual tax payers and their impact on you, see Budget 2009-10 Tax Proposals: Impact on Individuals. UPDATE (27 Feb'10): For latest IT rates / slabs for FY 2010-11 as per budget 2010, click here.